We’ve all seen exposition done poorly. It’s a lot like listening to someone drone on and on, blathering about some inane sequence of events in an otherwise pointless conversation. We’re just not interested. I trust that what is being said is important to the person delivering the exposition (I give them the benefit of the doubt, especially in a storyteller’s case). Why can’t we just tell an audience what happened? Well, what use is information if we don’t need to know it? Let’s begin with a definition of exposition as I’ve come to understand it, and it requires our old buddies “story” and “plot.” Basically, exposition is a fancy word for “information.” But that isn’t specific enough for our needs. Everything considered “information” can’t be exposition. We’re dealing with a finite amount of information when we are telling a “story.” Exposition entails how and when we choose to deliver information from the “story” into our “plot.” It is the act of delivering information that we create exposition. What about the word “expose?” That’s an action! Exposition plays a more active role in the narrative tradition. The information delivered through exposition needs to be doing something. The Scooby Doo expository ending is a common cliche where the gang unmasks the villain and reveals the details of the mystery in a mouthful of pat dialog. And hopefully a corny joke. But this kind of exposition has something going for it: we want to know the answer to the mystery! The gang “exposes” the mystery for the audience. We’ve spent enough time watching the plot thicken, asking the question “Who done it?” Tension builds as we wrestle with assumptions and speculations about the villain’s identity. 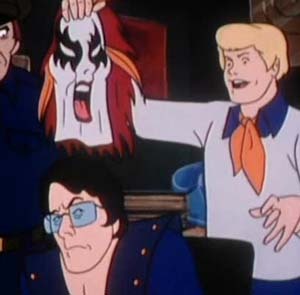 Finally, Fred pulls off the mask and… explains what happened. It may even come with a flashback! So here’s my Rule #1 for exposition: the audience must want to know the information before you deliver it. The simplest strategy would be to get the audience asking a question that the exposition answers. What about the expository title sequence at the beginning of Star Wars? We didn’t want to know that. Rule #2 for exposition: keep the unsolicited exposition at the beginning of the plot. Audiences are more receptive to unsolicited exposition at the beginning of a plot than at the end. Unsolicited means that the storyteller hasn’t solicited a question from the audience that the exposition specifically addresses. Though, broad questions like “what’s this story about?” and “where does this story begin?” are driving the active viewer’s attention in the beginning. As soon as dramatic action begins, this type of exposition becomes tedious. We want to see what happens next! Many people associate exposition exclusively with “back-story.” Information about what occurred prior to the beginning of the plot usually plays a vital role in telling the story. We’re all familiar with the flashback sequence that reveals exposition. I’ve always heard that you should avoid flashbacks because they are expository and exposition is boring. Exposition done improperly is definitely boring. Flashbacks are cliche as a narrative device, but that doesn’t render them useless. I don’t want to segue into flashback theory in this post, so let’s stay with expository strategy. How do we deliver exposition while maintaining the forward momentum of the plot? Rule #3 for exposition: deliver exposition through conflict! Given the three ingredients of conflict, exposition should “expose” either character, objective, or opposition. Verbal information spoken as dialog must elicit some sort of reaction from the characters in the scene. There should be a clear action behind the words. The character is doing something with the information in order to achieve their objective. Rule #4 for exposition: convey the exposition visually if at all possible. 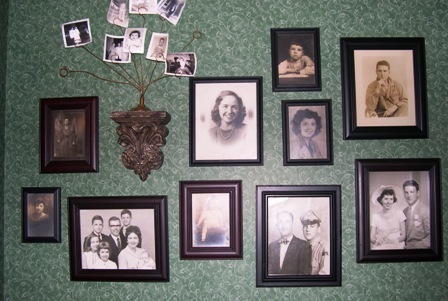 There are certainly cliches to be conscious of, such as the picture on the wall revealing something to the audience. An example I often use demonstrates the number of visual ways to reveal a character’s past military service. A picture on a wall would work, but can we bring action and conflict into the delivery? How about we have the character searching for something, digging through his closet. That’s action. What’s he looking for? That’s a question. He finds a military green duffle bag. And if we want to be sure the audience knows it his bag, we stitch the character’s name in big letters on the side. From inside the bag he pulls out his service flag, a uniform with lots of stripes, a gun, and then what he’s looking for… something wrapped in a clothe. What is it? I’ve solicited a narrative question; I know what you want to know. I’ve also given you exposition about his past without using dialog, voice-overs, or flashbacks. Cinema is a visual medium. Olivia sits despondently on her Rutan couch in her usual bathrobe and heels. going back to the hospital. The description above delivers exposition that we can’t see or hear. The storyteller assumes that her history at a hospital is clearly conveyed. Even the description of her eyes as “haunted” may be going too far in expecting that audience to interpret mood or attitude without action. This is a common mistake as storytellers work on getting the exposition into the plot, but sometimes overlook how the information can be delivered clearly so the audience “reads” the information.